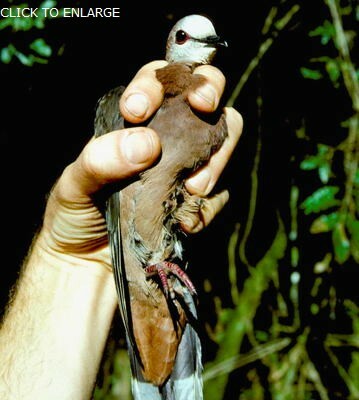 The lemon dove is a forest understory dweller, often at higher elevations. 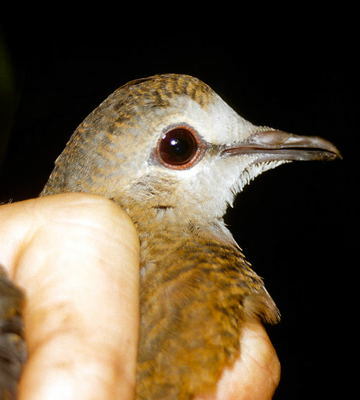 The breast and posterior neck are cinnamon; the back, brown and the face, white. Both of these photos were taken in the Udzungwa Mountains (left, adult, 1-03; right, juvenile, 1-07), courtesy of Dr. Louis A. Hansen; click the adult to see enlargements.